The challenge for anyone thinking about the future of social democracy is that we no longer have a vocabulary of politics that resonates with the broader public sphere. Even the title of this little piece – ‘Left Behind?’ – embraces an arguably tired and prosaic attachment to a notion of politics that remains tied to a ‘left-right’ spectrum. One might argue whether this ‘spectrum approach’ was ever really capable of grasping the subtle complexities of political life – either at the personal, party, organizational, or social level – let alone the innate irrationalities of political life itself with its inevitable mixture of messiness and compromise. A ‘new political project’ from this perspective might focus not simply on the concept of ‘the centre left’ but on the very nature of collective politics itself. This ‘new approach’ offers huge potential in terms of redefining and revitalising democratic politics – a rejection of the defensive and callowed version of social democracy that currently exists in the wake of the global financial crisis. The simple argument here is that any starting point in a discussion about revitalizing politics – and therefore society – cannot be rooted in conceptions of either ‘the left’ or ‘the right’ (or ‘the centre’). Such historical signposts are now too crude to grasp the social complexity that defines the twenty-first century. The research of Jonathan Wheatley, for example, suggests that the terms ‘left’ and ‘right’ are of little relevance to the contemporary electorate. “Evidently, left and right are amorphous concepts that mean different things to different people at different times’’, Wheatley notes, “Amongst younger, less well-educated and especially less politically interested users, items belonging to the economic scale were barely coherent at all. For these voters, the notions of ‘left’ and ‘right’, at least in economic terms, are really not meaningful at all”. The electoral basis of democracy therefore needs to be accepted not only in terms of its complexity but also in terms of the decline of monolithic class groups, the re-scaling of economic activity, combined with a shift towards single-issue or valence politics. 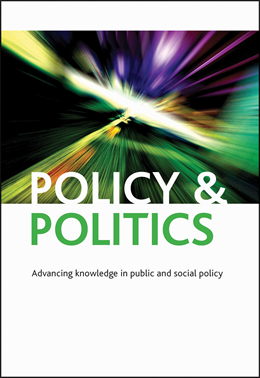 The rise of political complexity therefore reflects a broader increase in social complexity. One way of thinking about this problem – and possibly a solution – is to think of Zygmunt Bauman’s work on ‘liquid modernity’, which when stripped down to its core components, emphasizes the decline in traditional social anchorage points (jobs for life, national identity, religion, marriage, close knit communities, trade unions, etc.). All that was once solid has apparently melted away and has been replaced with a hyper-materialism that ultimately leaves the public(s) frustrated. To make such an argument is to step back to C Wright Mills classic The Sociological Imagination (1959) and his arguments about ‘the promise’ and ‘the trap.’ We have identified a perceived trap in the form of the decline of the centre left and the dominance of market logic across and within social relationships. But where is ‘the promise’ in terms of a new vision possibly inspired by the insights of the social sciences that cuts across traditional partisan lines? A clear and confident ‘language of politics’ that is not defensive or defined by the past, that makes no mention of Guild Socialism, Golden Ages, Fabianism, Richard Crossman, ‘Lefts’ and ‘rights’, etc. The challenge for the Labour Party in 2020 already looks greater than it did in 2015, not least because the party too often appears engulfed in (internal) tribalism within an increasingly post-tribal world. The challenge for a future political leader is to reject and re-frame the dominant anti-political sentiment for the simple reason that it is rarely anti-political in nature and more accurately interpreted as frustration with the current system. Redefining ‘anti-politics’ as ‘pro-a-different-way-of-doing-politics’ lies at the heart of any new political project that seeks not to be left behind. Matthew Flinders is Professor of Politics and founding director of the Sir Bernard Crick Centre for the Public Understanding of Politics at the University of Sheffield. He is also Chair of the Political Studies Association of the United Kingdom. During the Spring Bank Holiday he hopes to be ‘left behind’ – in the sense of slipping away from the hustle and bustle of day-to-day life – in the quiet Norfolk town of Cromer. He is the author of Defending Politics: Why Democracy Matters in the 21st Century.